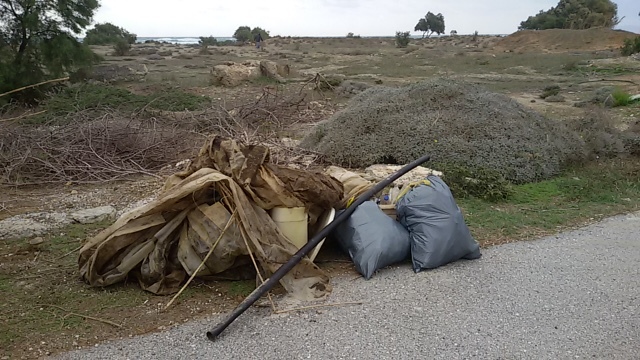 On a very windy Sunday morning, the Kissamos Beach Cleaning team met to do some much needed rubbish collection along the turtle beach between Kolymbari and Tavronitis. 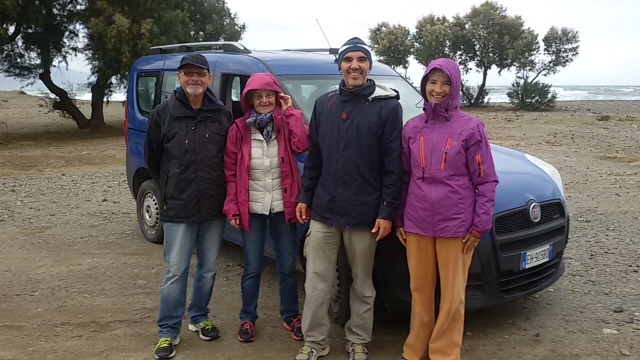 The shore was so windy that we opted to stay at the back of the beach, somewhat sheltered by the low dunes and tamerisk trees. 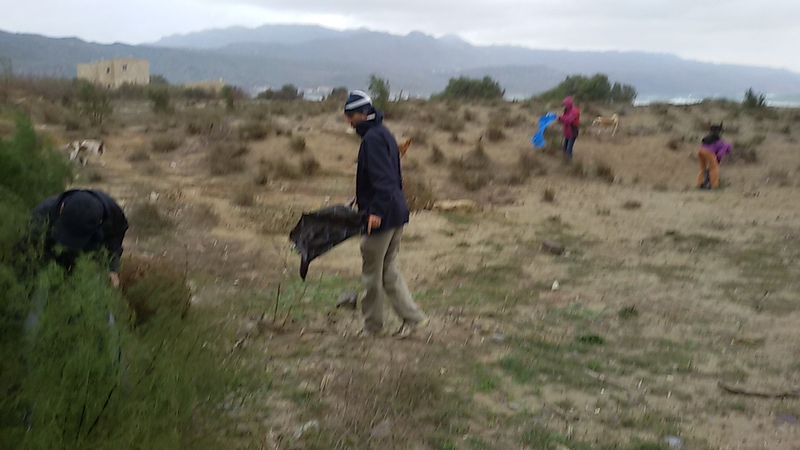 It was a good place to clean, full of old rubbish and construction site dumped materials and various garbage. We were cheered by a lady walking her dog who lives nearby and congratulated us warmly.